Preheat oven to 180°C (350°F) and grease and line a 20cm round spring form tin. Cream butter and sugar together until smooth and fluffy. Add eggs one at a time, beating well after each. Sift flour, baking powder and Milo together and then gradually add to the rest of the mixture with the mixer on low speed. With the mixer still on low, add buttermilk until just combined. Pour into cake tin and bake for 40-45 minutes or until a skewer inserted into the centre comes out clean. When cake is cooled completely slice in half and spread Dulce De Leche Filling on one side (to taste) and reassemble. 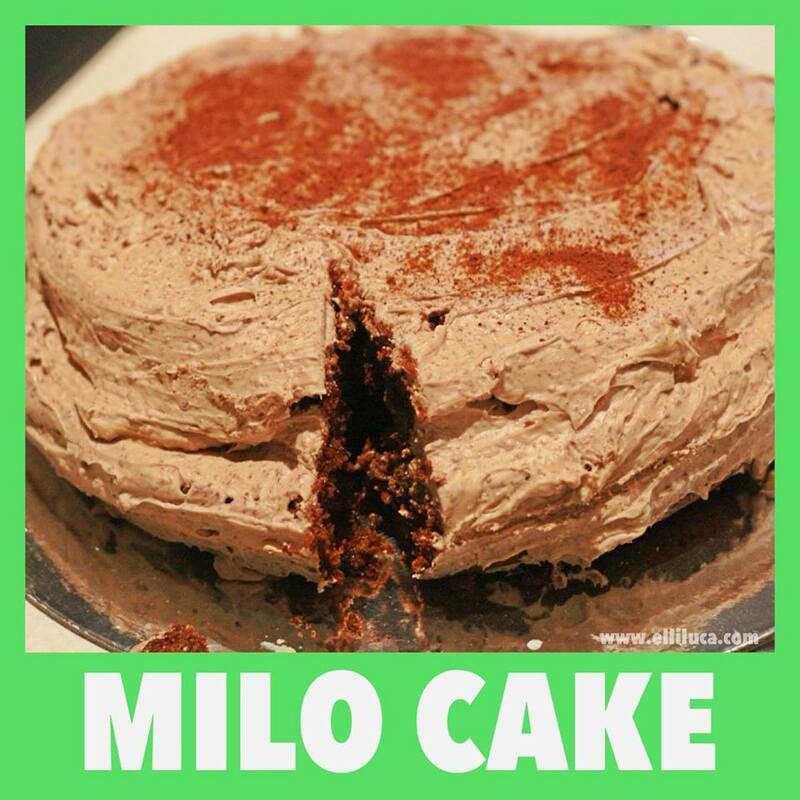 Then frost with the butter cream and dust with Milo! Using an electric mixer, beat butter in a bowl until pale. Gradually add icing sugar mixture and milk, beating constantly until combined. Then I stirred in Milo & vanilla with a wooden spoon. (I make a double batch as it takes a while and is worthwhile as will keep in the fridge)Thick and glossy, rich and sweet, this spreadable golden caramel turns simple treats into luxurious desserts. Beware - it's addictive! Preheat oven to 220°C. Pour condensed milk into a heatproof baking dish. Place dish in a roasting pan. Pour water into pan to come halfway up the side of dish. Cover with foil and bake, refilling the pan with water if necessary, for 1 hour 45 minutes or until dark golden. Whisk the mixture until smooth. Pour into a 500ml (2-cup) capacity sterilised jar and seal. Once opened, store in the fridge.